I really enjoy Nature Nights because it’s a great way to educate kids about science. There are a lot of hands-on crafts and activities and that’s a great way for kids to learn. 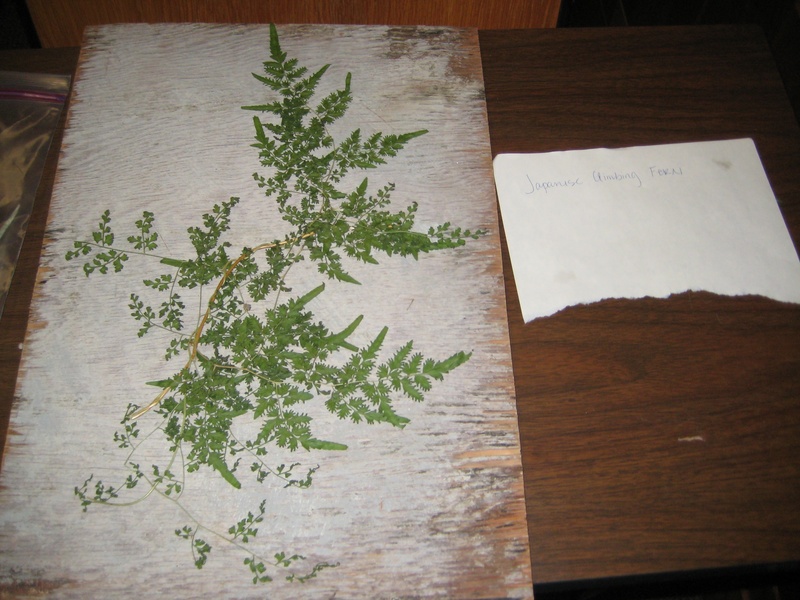 Last week’s nature night was on the Power of Plants. 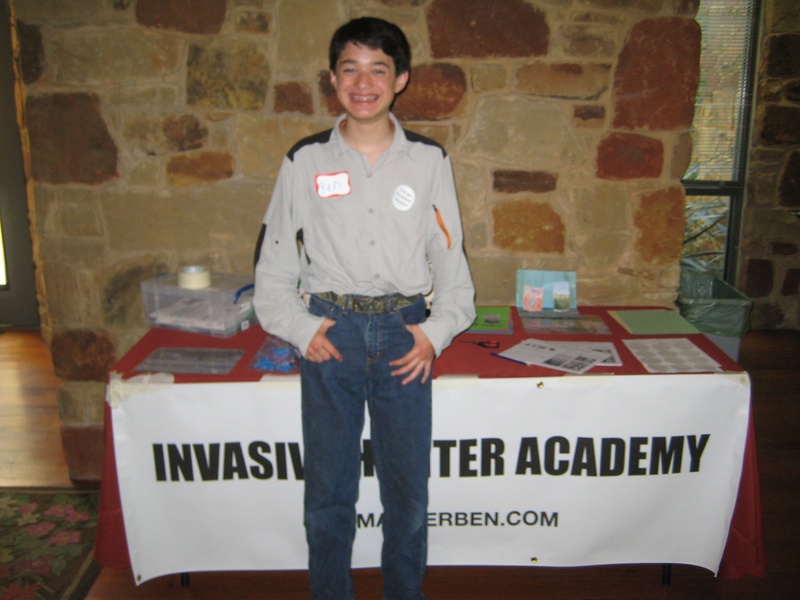 I had a great time teaching kids about invasive plants with my Invasive Hunter Academy. 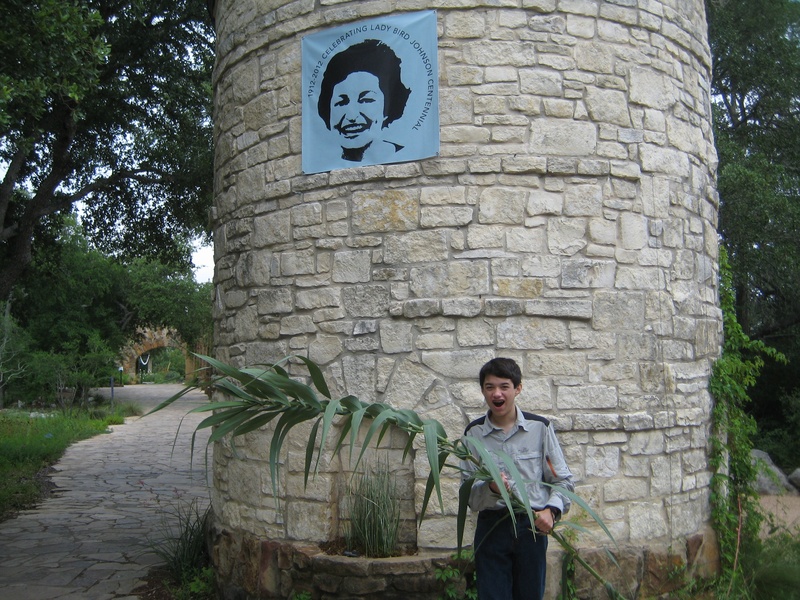 I look forward to joining the Lady Bird Johnson Wildflower Center again. I like to work with my hands in nature, especially with plants, cultivating, growing, and harvesting them. I’ve grown chili peppers and tomatoes this year. I attempted to grow corn too, but the corn was very twisted, probably due to the heat before our recent rains. Aphids and other insects really attacked it too. So instead I composted it. I’m looking forward to the ginger, potatoes, onions, and leaks that I’m still growing. When I was younger, I went to a Nature Nights where they were teaching kids about birds of prey. They had a man showing a hawk there. The talons were sharp and scary, and he had to wear gloves, otherwise they would have cut up his hands. I find raptors and owls amazing because they can spot their prey from so far way. 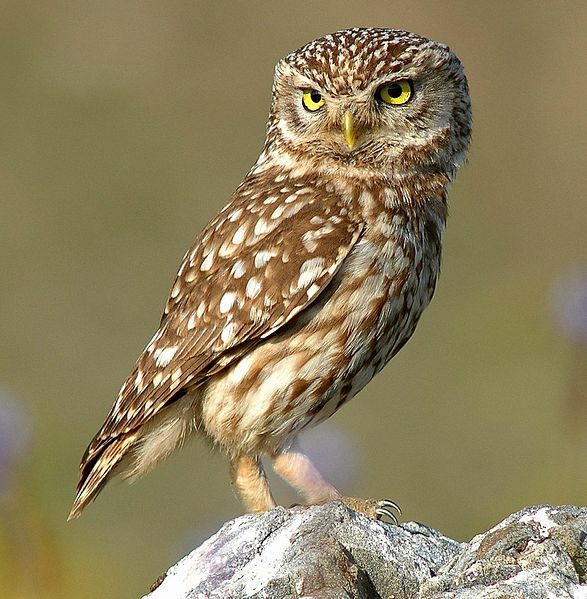 With their huge eyes and soft feathers, owls can fly so silently that mice have no chance. Don’t miss next week’s Nature Night on Thursday, July 19, on Bats. 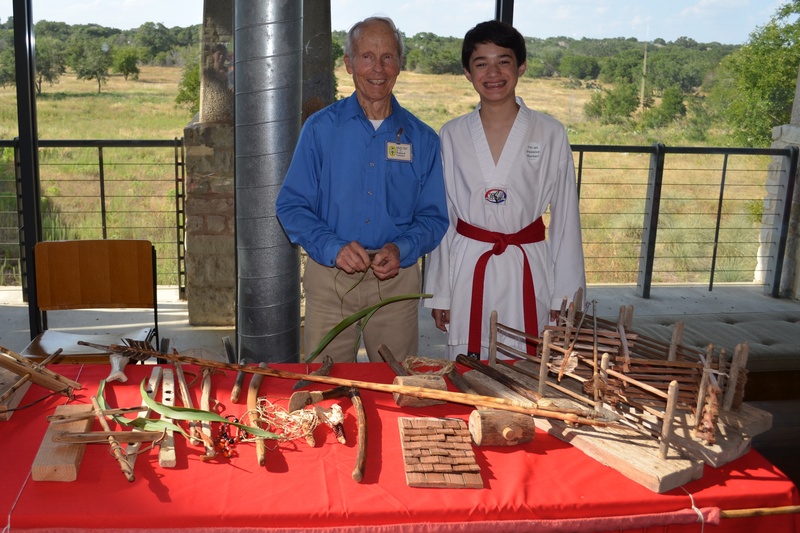 On July 5, I brought the Invasive Hunter Academy to the Power of Plants event during Nature Nights at the Lady Bird Johnson Wildflower Center. Here are some great pictures of the night’s event. 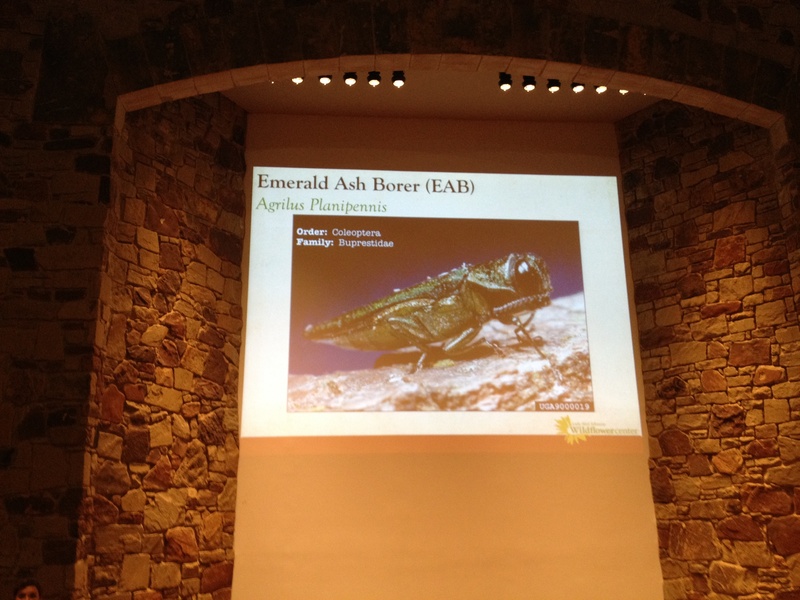 Here I am before the start of the Nature Nights event with Ms. Alice Nance, Wildflower Center Education Manager. She and Ms. Julie Graham made me feel very welcome. They gave me a great location to set up with lots of room for the future Invasive Hunters to practice their moves to take down invasives. After the event started, there were so many kids enrolled in the academy that they had to get me another table so the kids could have room to create their action diorama. 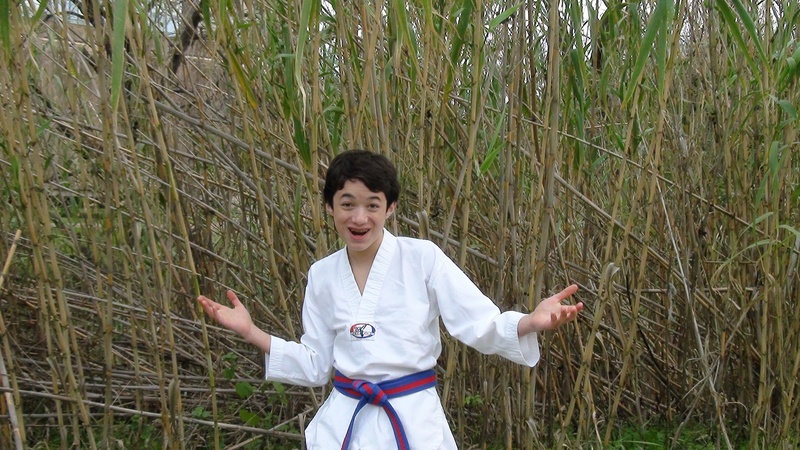 Here I am teaching kids about invasive species. The first part of the academy is learning about your enemy, and I’m showing a picture of Elephant Ear to this future Invasive Hunter. Learn more about Elephant Ear with my In an Ecesis Far, Far Away video, part of the Battles with Invasive Species video series. Here I’m teaching future Invasive Hunters the swallow hand stalk strike move. It’s to take down the Giant Reed (Arundo donax). As the Giant Reed attacks, block with one hand above your head and strike with the other. 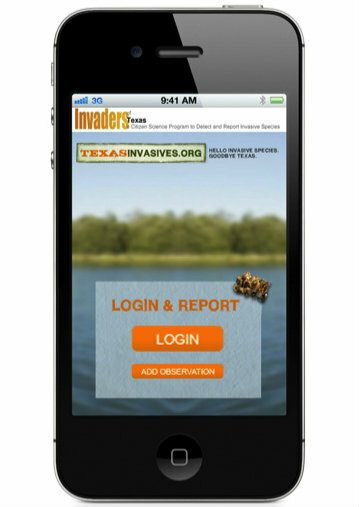 Learn more about the Giant Reed with my Invasive Hunter Academy launches during National Invasive Species Awareness Week video, part of the Battles with Invasive Species video series. Here’s an example one of the action dioramas that the kids can make as part of the academy. This is a great craft 🙂 because it really gets the kids thinking about invasives as they make their action scene. They got to pick one of three invasives species to battle: Elephant Ear, English Ivy, or Giant Reed. I noticed that when the boys made their action scene, it really looked like a real battle was going on…very messy, like my own diorama! When the girls created their dioramas, they were perfectly done. There were no scissor marks, no glue smears, and the people were perfectly drawn, but I’m sure there was a great battle against invasives going on there too! 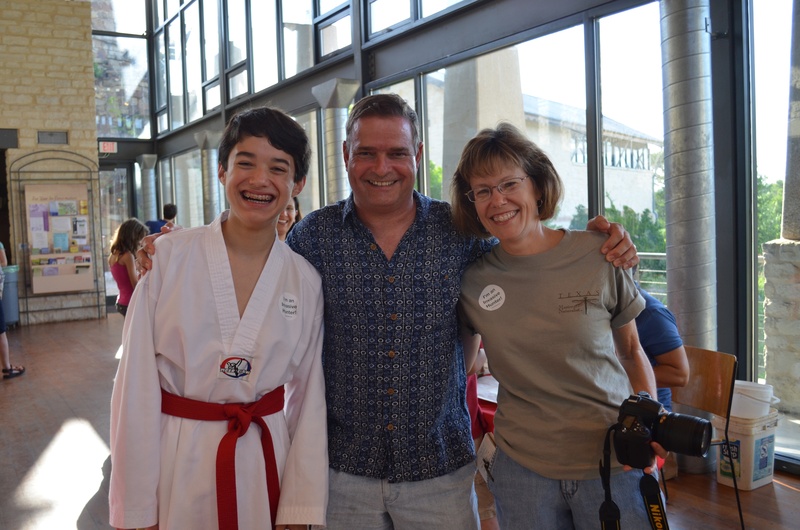 I met Mrs. Sheryl Smith-Rodgers and her husband James at Nature Nights. They are very nice people, and they love nature. Mrs. Smith-Rodgers is a wonderful writer. Thanks for mentioning me on your great blog, Window on a Texas Wildscape. 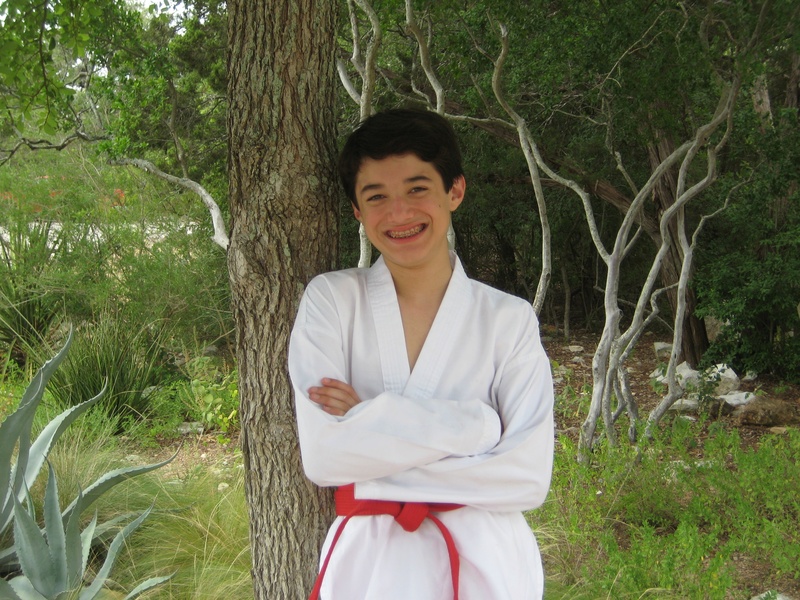 I finally got the chance to meet the Teenage Ecowarriors. They help kids create art treasures from recyclables. 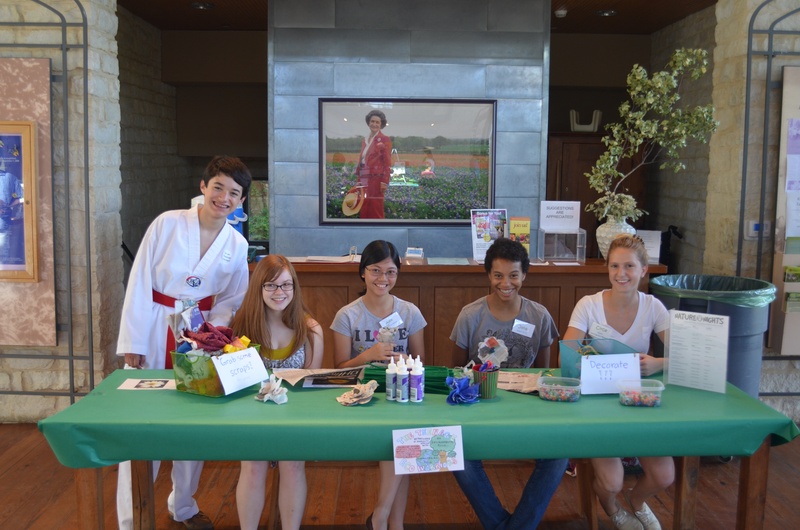 At the Butterflies event, they helped kids make a butterfly sock puppet. 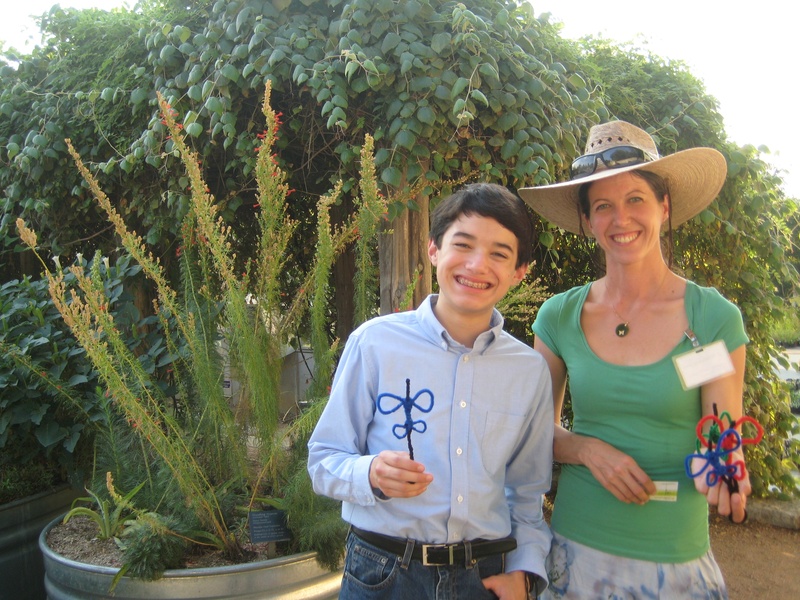 At the Power of Plants event, they helped kids make a newspaper flower. They’ll be coming back to the Bats event on July 19, so be sure to go see them when you’re there. I was happy to meet Mr. JC Pollard again at Nature Nights. I met Mr. Pollard last year for Flintknapping and Great Nature Activities at the Wild Basin Wilderness Preserve. Mr. Pollard was helping kids make wood shingles by breaking off pieces of wood from a tree ring. I didn’t get a chance to create a shingle, but it looked really fun. I saw the shingles that kids made when they came to the Invasive Hunter Academy, and one boy gave me one. 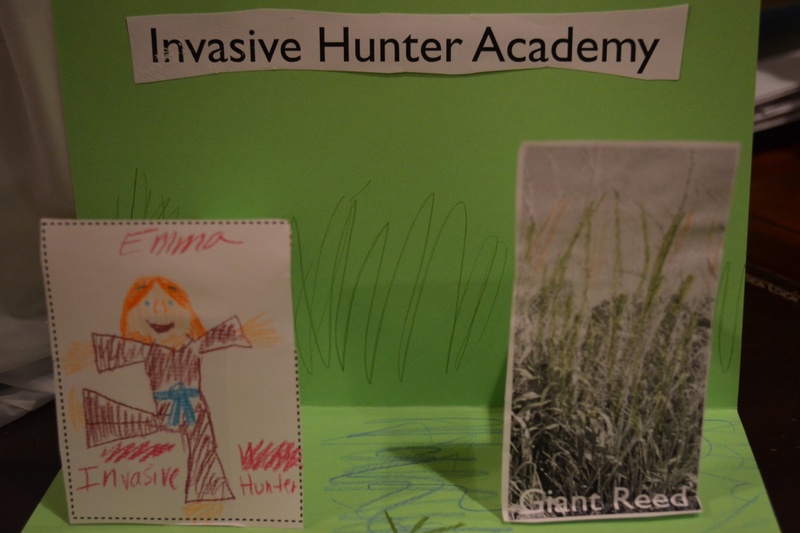 Thanks to all the enthusiastic kids who enrolled in the Invasive Hunter Academy! 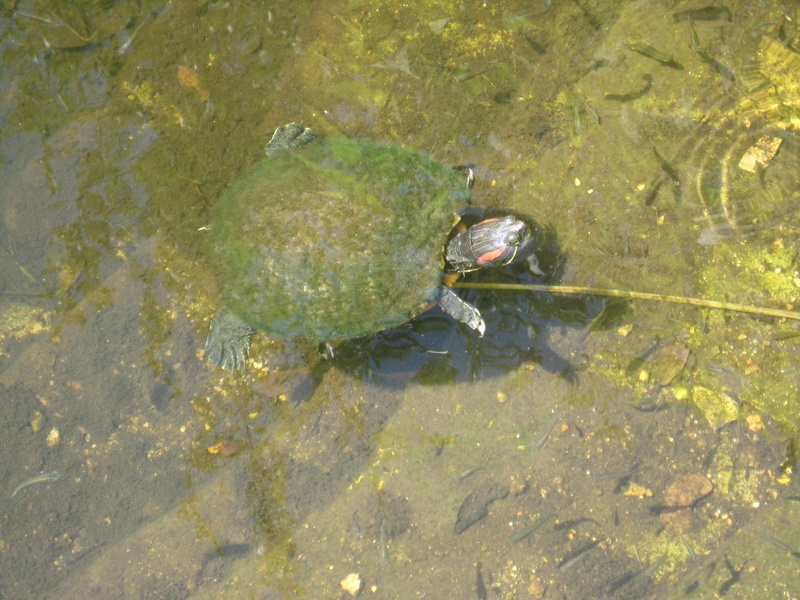 Together, we’re helping to stop the spread of invasives. Education and awareness is very important. 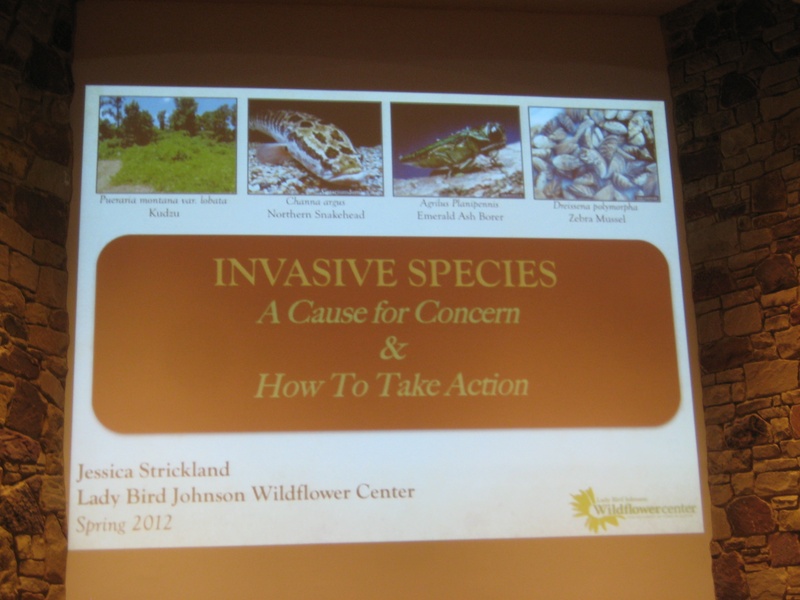 I really enjoy these events, because I feel that I’m helping to give back to our community by educating people about invasive species. 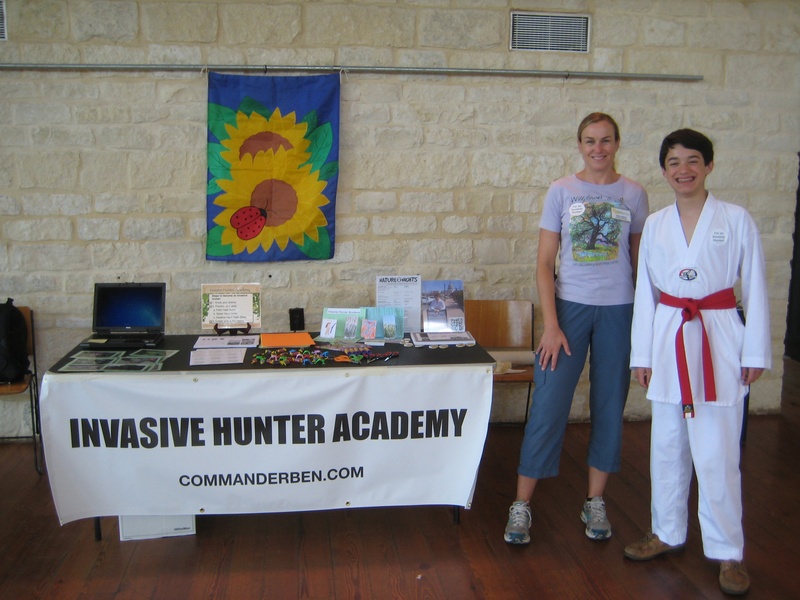 I look forward to bringing the Invasive Hunter Academy to more events in the future! 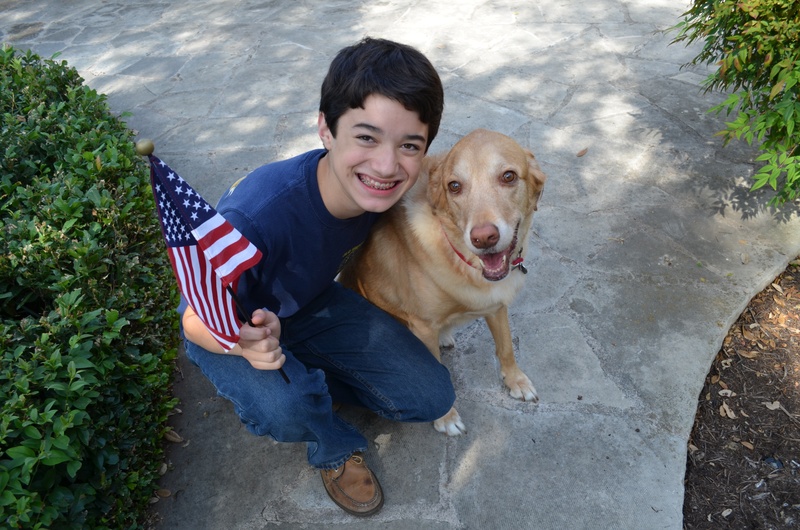 Happy Independence Day from me and my dog, Obi-wan! 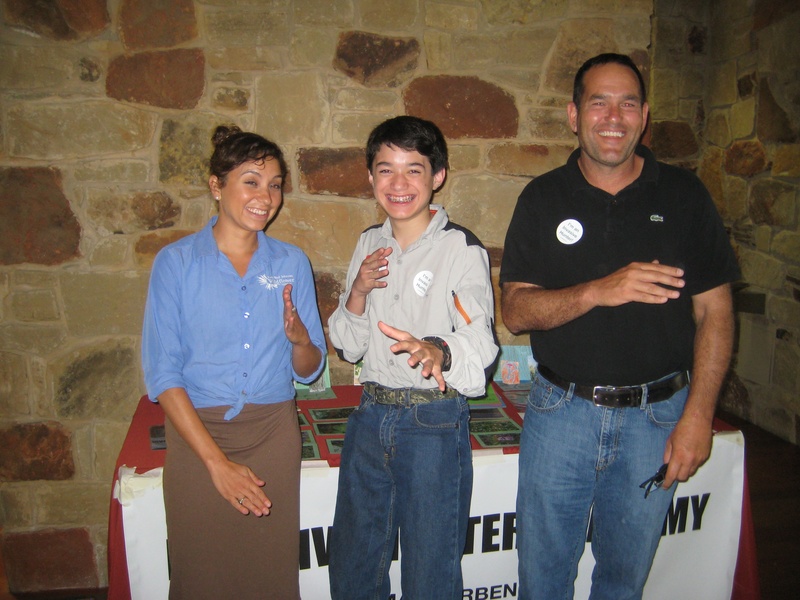 I’m looking forward to meeting kids, families, and everyone who loves nature at the Invasive Hunter Academy tomorrow during Nature Nights at the Lady Bird Johnson Wildflower Center. This free event on Thursday, July 5, at 6:00 p.m. focuses on the “Power of Plants”. I can’t wait to teach kids of all ages about invasive species, the problems that they cause, and what you can do about them. 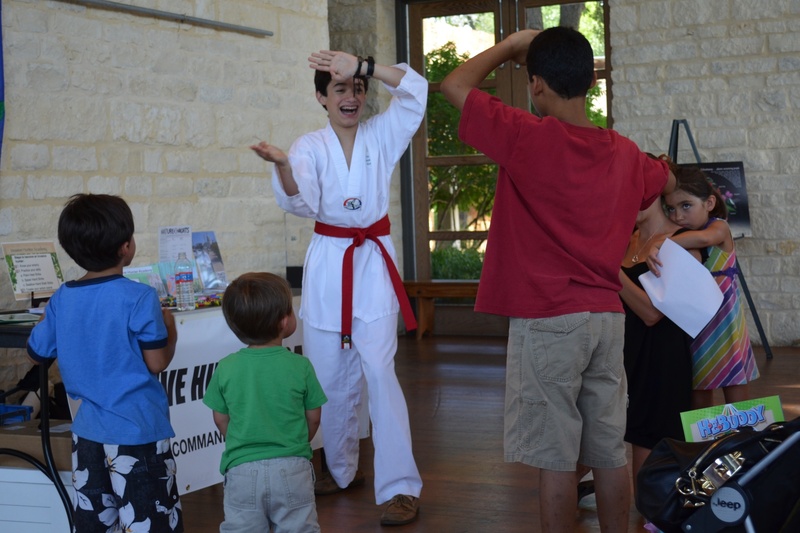 Learn cool combat moves and create an action diorama to take home with you. 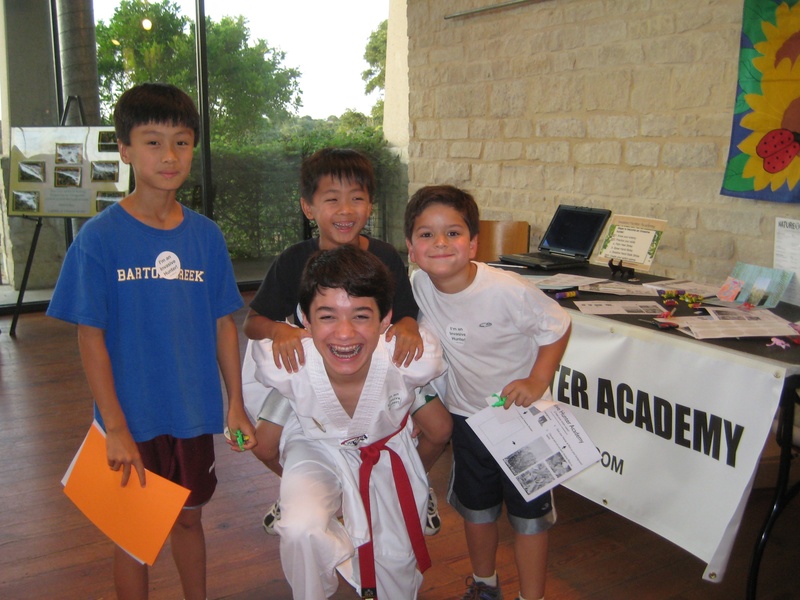 So be sure to come to Nature Nights and join the elite ranks of the Invasive Hunters! I can’t wait to see you tomorrow! At last week’s Nature Nights at the Lady Bird Johnson Wildflower Center, I was delighted to meet Ms. Becky Ruppel, who has done graduate work in biology and is a volunteer at the Wildflower Center. She also studied the Yellow Toadflax (Linaria vulgaris), an invasive species from the Mediterranean that threatens the native diversity and rangeland in Colorado. Ms. Ruppel talked with me about how important pollinators are to our ecosystem to help plants reproduce. Pollinators include bees, butterflies, moths, and hummingbirds. Hummingbirds can see red, and that’s why they are attracted to plants with red flowers, such as Turk’s Cap (Malvaviscus arboreus var. drummondii). When hummingbirds go to feed on nectar, the pollen from the male part of the flower (the anther) collects on their bills. When they fly over to feed with another flower, they pass the pollen to the female part of the flower (the pistil) as part of the pollination process to help the flower form a seed. We also talked about colony collapse disorder. A few years ago, I saw a PBS Nature program, Silence of the Bees, about this tragedy affecting our honey bees who are pollinators and that live in colonies. Beginning in 2006, for some unknown reason, honey bees from entire hives began to disappear. They just get sick and fly off to die. Since bees are a major pollinator, this puts many of our plants, especially our food crops, at risk. Ms. Ruppel mentioned some of the factors scientists think might be causing it, such as pesticides, diseases, or mites, but she said that they haven’t been able to pinpoint one cause and be able to treat it yet. CCD may be due to many factors. If honey bees are in decline, she said that our native solitary bees may be able to take their place as pollinators, such as mason bees. Landowners could leave areas of their property in a natural state and place ground features such as pieces of wood to help encourage the mason bees to make their homes there. I hope they are able to help our honeybees soon! 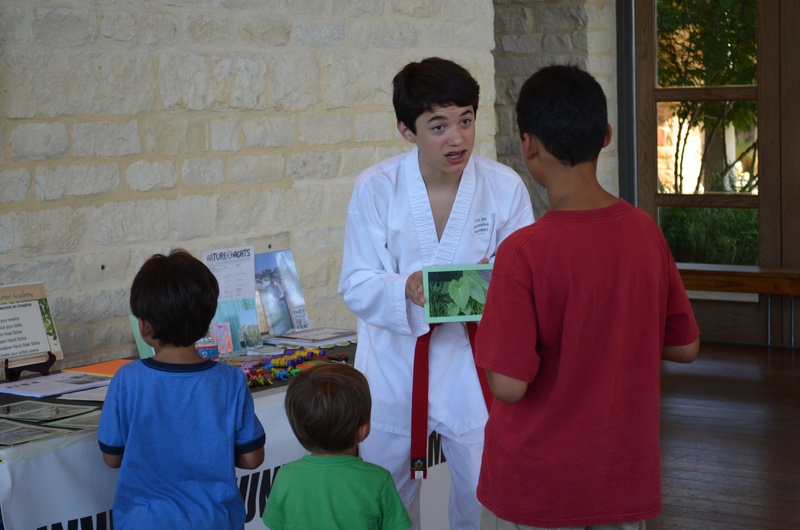 Don’t forget that I’m bringing my Invasive Hunter Academy to the Lady Bird Johnson Wildflower Center as part of Nature Nights on Thursday, July 5, at 6:00 p.m. Bring your entire family to this free event and learn more about the Power of Plants! 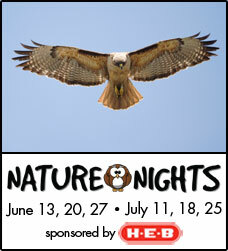 Nature nights starts this Thursday, June 21, at the Lady Bird Johnson Wildflower Center from 6 to 9 p.m. The event is free and is fun for the entire family. Get to know butterflies at this Thursday’s event. In two weeks, I’m bringing my Invasive Hunter Academy to nature nights. The July 5th event focuses on the power of plants. 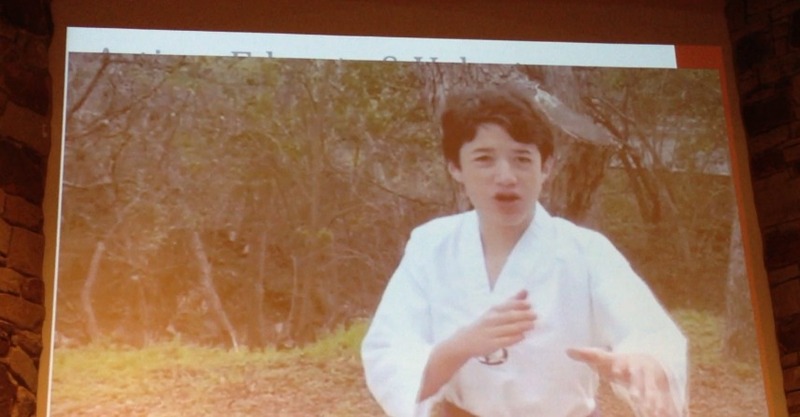 As part of the academy, I look forward to teaching you about invasive species and graduating you as an Invasive Hunter. I’ll also have Plant Hero pins, pledges, and other fun stuff too! I look forward to seeing you at Nature Nights!